Kate Nelson believes that, just like a GPS, a Change Readiness Assessment can help the project manager and team define the starting point for a change initiative, chart the course, and track progress along the way. A Change Readiness Assessment identifies enablers and barriers to change and guides the development and implementation of our change management work plan. Kate shares insights on what types of data to gather for the Change Readiness Assessment and the steps to take to put the information gathered to effective use. 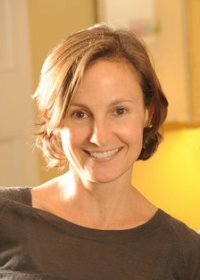 Kate Nelson is a Partner with Change Guides LLC. She is the co-author of two popular books on organizational change – “The Change Management Pocket Guide” published in 2005 and “The Eight Constants of Change” published in 2008. 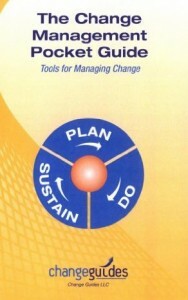 “The Change Management Pocket Guide” is in the top half percent of all books sold on Amazon.com. Tell us about your background and how you got interested in the Change Management? 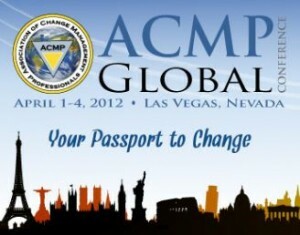 You will be presenting on this topic at The 2012 Association of Change Management Professionals Global Conference April 1-4, 2012. In the presentation, you will focus on Change Management Assessment. You say that Change Readiness Assessment pinpoints our enablers and barriers to change and guides what should be included in our change management work plan. Help us understand what Change Readiness Assessments are and why they are important for change projects? What type of information is gathered when assessing Change Readiness? Now that we have gathered data from our Change Readiness Assessment, how should we use this data? More and more organizations are formalizing the role of Change Manager in their projects. 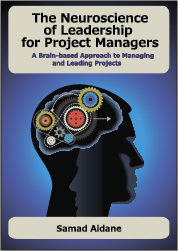 What is the difference between the role of Change Manager and Project Manager on projects? Talk to us a little bit about your organization Change Guides and your Change Management Certification Program. Kate Nelson has more than 18 years of experience working with Fortune 500 companies worldwide to help them manage change in their organizations. Her clients have spanned the Consumer Products, Life Sciences and Manufacturing industries. Kate has authored countless articles in regionally and nationally distributed publications and is frequently sought out and cited as an expert in the field of organizational change. Kate earned a BS from The College of William and Mary, an MBA from the Fisher School of Business and an MS from the School of Natural Resources at Ohio State University.